Escape to the Smoky Mountains of East Tennessee and enjoy a quiet country setting yet minutes away from the main parkway in Pigeon Forge, Tennessee. 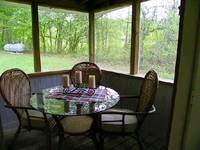 If you are looking for an affordable cabin in Pigeon Forge, then "Sweetpea's" is for you. Why stay in a crowded, noisy pet friendly hotel when you can enjoy a peaceful, quiet Tennessee Smoky Mountain setting yet minutes off the main parkway in Pigeon Forge, Tennessee. Sweetpea's country chalet features level parking with easy access, perfect for 2 ADULTS or even a small family with one child guest who seek a single level vacation retreat. The inviting covered porch features a glider rocker and rocking chairs where you can relax and watch the wild turkeys feed in the open fields. Enter through the French doors to a cozy and inviting sitting area and then into the master bedroom which features a King log bed, 32" flat screen HD TV and walk in closets. For those who can't leave work behind, Sweetpeas features high speed internet and unlimited log distance calling to your friends in the US. The comfortable living area features a futon sofa, 40" HD TV with Blue Ray DVD and cozy gas fireplace The living area opens into the spacious kitchen, great for preparing gourmet meals. 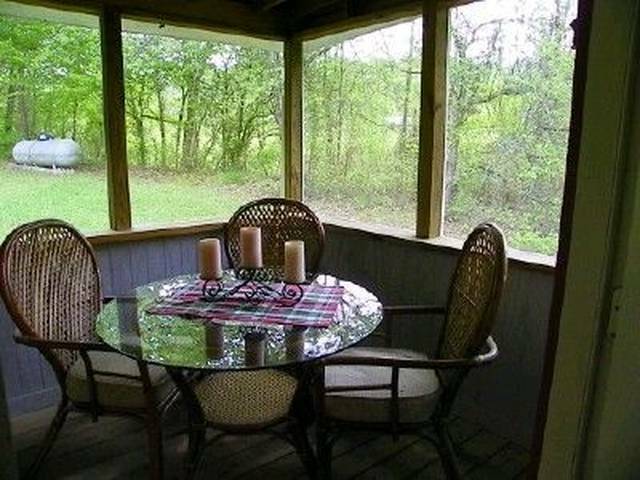 Retreat to the screened in porch where the bugs won't bite as you dine on the patio furniture and cook on your Charcoal grill. 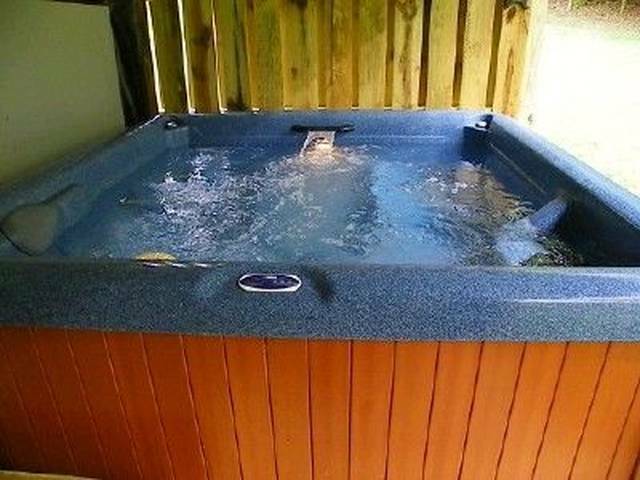 The hot tub features a romantic waterfall setting, a great stress reliever. 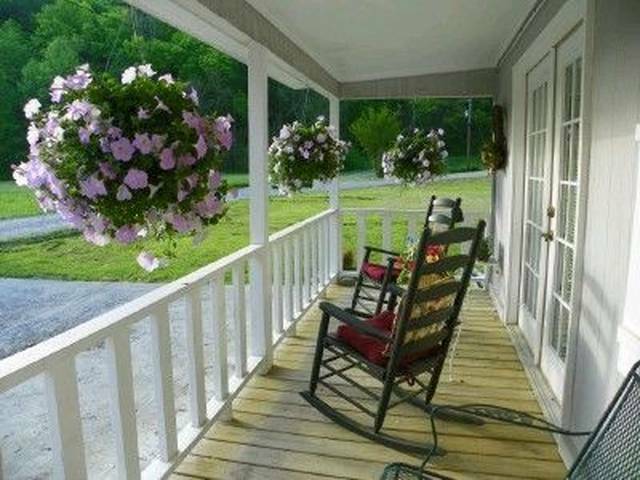 "Sweetpea's" welcomes small pampered pets in this "Pet Friendly Pigeon Forge Cabin Rental" perfect for those pets who enjoy a romp in the country, fees apply to pets!